A vampire hunter fights to save a besieged city from an army of otherworldly beasts controlled by Dracula himself. Inspired by the classic video games. When my friend shared the trailer for this Netflix series, I was excited out of my mind. Everything about it looked amazing, from the visuals and colors to the characters and the premise of Dracula, I absolutely had to watch it. I think it’s one of the only Netflix trailers that made me so excited about a new series and had me waiting anxiously for the release date to come by. 7th July. 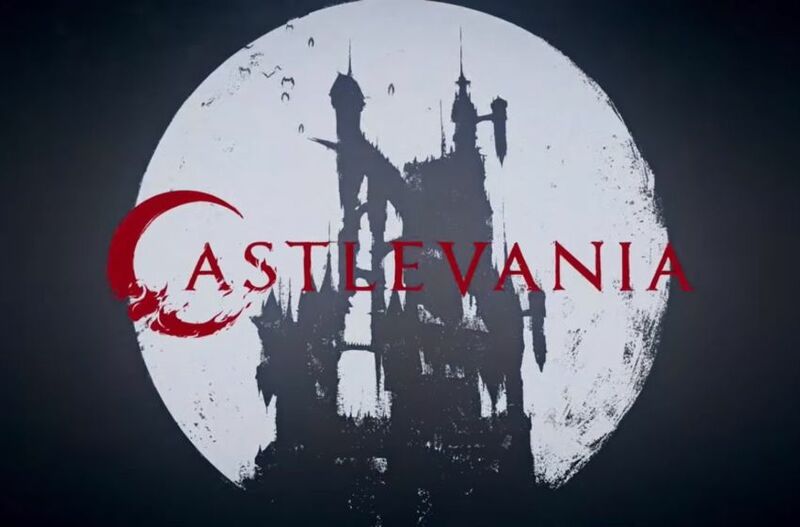 I didn’t watch Castlevania the whole week because I had an exam on that Friday and had decided to dedicate my time to studying instead of being so wholly distracted by what I thought would be the most amazing animated television adaptation of a video game. Was I right to wait until the weekend? I definitely was. Worth it. The series starts off with explaining the events that lead to the supernatural setting the ‘current’ timeline is at- namely, how Dracula’s wrath was triggered enough to result in the release of a hellish army of… gargoyle demons that would attack the citizens of Wallachia during the night. While some part of the story telling here was a little questionable (why did Dracula have an army of impaled skeletons outside his mansion? did Dracula create science all by his lonesome? what made Dracula decide to stay away from humans and live peacefully in his mansion?) it was still really nice and had me immersed right away. Dracula is given a story enough to explain why he’s wrecking havoc on the world. We’re then introduced to our main character, Trevor Belmont. Trevor is a bit of a loner, someone who travels from place to place just to drink alcohol, sleep, eat and move on. He’s the last son of the Belmont family, a family persecuted by the Church due to their history of fighting the supernatural. Now that Dracula has flooded the country with his supernatural army from hell, the Belmonts are near extinct and this last son of theirs isn’t interested in helping out, especially when it was the Church that brought the calamity on itself. Spoiler alert, of course Trevor changes his mind. Trevor is a sassy dude, by the way, always has something funny to say. The Church has a pretty heavy influence through out the story; even though the Church was the one who invited Dracula’s wrath, the church has managed to turn things around to point fingers at magicians and scholars instead, basically anyone who seems to carry some sort of power that could challenge the Church. The average person is whipped up into forming a bloodthirsty mob that follows where the Church points in an effort to protect themselves from the monsters that plague them. Oh and heads up, these monsters are brutal when it comes to killing, so there’s a lot of gore/violence depicted in the show as well as mildly disturbing imagery. So Trevor meets up with our second protagonist, a Speaker scholar who is a magician. Sylph is super cool, she can cast spells that involve fire and ice and use it to fight the demons with Trevor. It’s one thing that I really liked in the show that apart from science that was considered heretical by the Church and the strong, out of this world powers that Dracula had, there’s this human who has magic. If anything, she seems more a witch than Lisa, who only wanted the medical side of science to help cure people. But that’s just my two cents, moving on. Trevor and Sylph team up in an attempt to fulfill a prophecy to find the savior who will defeat Dracula. Well, actually Trevor has no idea what he’s doing. One of my favorite scenes in the series is when the priest who debatably brought forth the apocalypse is in the comfort of his church when the night creatures arrive. Judging from the scene, it seems that the demons cannot enter churches, and yet, the church is breached. Demons enter the area to surround the priest, who tries to argue about how holy he is and all the deeds he has done for God. To which the demons reply that the priest’s actions did the exact opposite of making God proud and as a result, the priest had been abandoned, which explained why the the Church was now open to the demons. It’s a pretty cliche sort of thing; a priest gone corrupt, believing he is doing the right thing, only to find out all his actions are tainted and his deeds razed down to zero. Needless to say, the demons love the priest (since he is the reason they were called to earth) and they decide to give him a kiss. Which obviously uh. kills the priest. They finally uncover the third protagonist; Alucard. Dracula’s son, sent to sleep thanks to the wounds he suffered in an attempt to stop his father from unleashing hell on earth. Oh yeah, I think I forgot to mention that they’re both vampires. Even so, it seems like religious symbols like the cross doesn’t Dracula very much but vampires can still be killed through the stake (although then again, the stake can kill anyone e__e). These three are now off to defeat Dracula and end the reign of terror! This is where the first season ends. 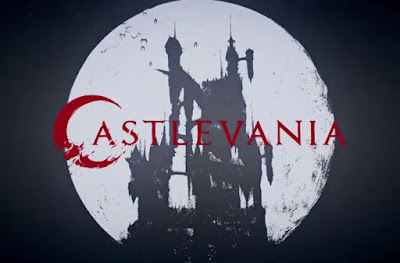 A total of four episodes, each running about 25 minutes, Castlevania is a quick, easy and entertaining watch. 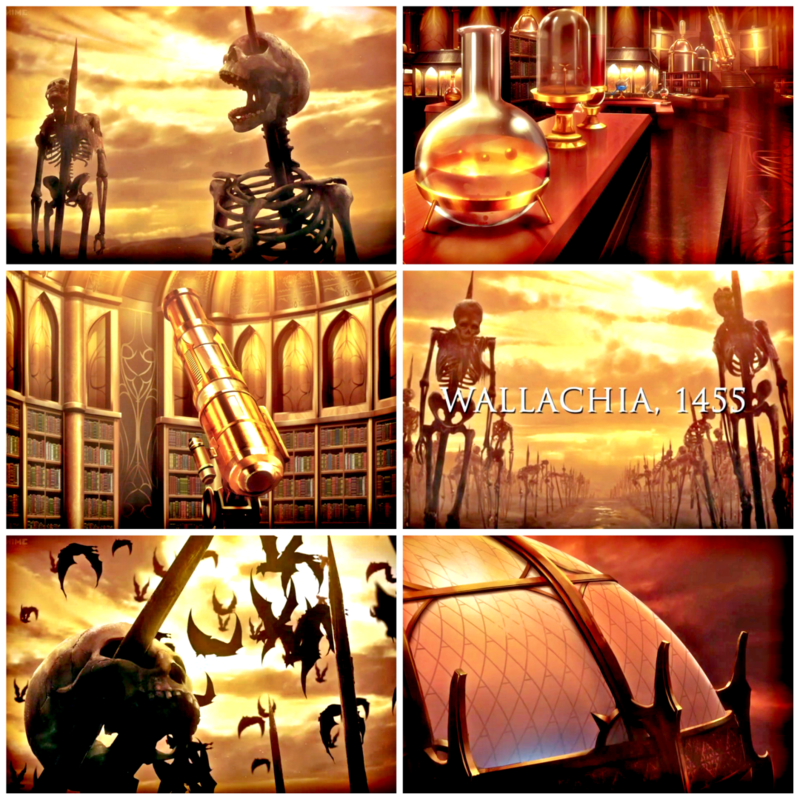 I genuinely enjoyed watching it, whether it was the animation (that scene when Lisa enters Dracula’s lab- was really cool), the characters (although some of the side characters got way too much screen time than needed) and the dialogue. I highly recommend Castlevania! Since it’s built on a game though, there are some aspects you can pick that look like they’re really pulled out of a game. One of the most obvious parts that I picked up immediately was how Trevor decided to start talking to everyone in a marketplace, so it was very reminiscent of when a player goes to talk to a bunch of NPCs for a backstory. Of course, there needs to be fair warning before you decide to watch it. There’s not a LOT of violence, but when it’s shown, it’s pretty brutal (people cut in half, intestines spilling out, babies being eaten, you get the gist). There’s a lot of profanity/foul language (everyone’s a sailor even though there’s no sea nearby). And… I think that’s it. No other warnings. I would give Castlevania an overall rating of 4/5 and an age rating of 16+. It was very enjoyable, albeit short and I am looking forward to seeing the next season come out! I've been hearing so much about Castlevania! Considering how short the series is, I hope to watch it in its entirety at some point! It's really good, but of course! It might be a better idea to wait for all of it to come out since this first season is really short and the second season has already been announced 🙂 I was just way too excited to wait! Thanks for coming by! Great in depth post and love the layout. Ooh sounds interesting! Glad you enjoyed the first season so much. I haven't heard of this but I love your post! Why haven't I heard of this yet? Sounds really good. I desperately need something new to watch as Prison break is coming to an end for me! Great post!